In his post today, Alex will be discussing link strategies for one of the toughest niches there is for link building — news and media sites. Because things move so fast with breaking news and stories, securing backlinks for news websites presents a set of unique challenges. Here is Alex on the different ways you can manage and overcome those challenges! So, you’ve launched your news website. You’re pumping out new articles and hitting that “publish” button every single day, but for some reason, you’re not enjoying floods of fresh traffic yet. Why? Well, you probably have very few backlinks. A backlink is like a vote of confidence or a recommendation from another site. The more backlinks you have, the more popular you are, and thus the more authoritative you are in the eyes of Google. If nobody’s linking to you, the authority of your site remains very low, and most of the other sites will outrank you in the search results. You also have to understand that not all links are equal. If you had the chance to get an endorsement from Forbes or one from a random blogger’s website, what would you choose? I’ll let you in on a secret: Google would prefer Forbes, too. You see, every site is different and has a different level of “reputation” or “authority.” One high-authority backlink can be more powerful than 10,000 low-quality links. This is why you should focus on quality over quantity. While backlinks are important for SEO across all industries and niches, how they are acquired or evaluated can vary quite a bit. If you have a news or media website, you’ll need to develop a custom strategy that addresses the unique SEO needs and challenges of a news site. All successful marketing initiatives begin with strategy. Setting both short-term and long-term goals. And understanding the differences of news-oriented SERPs. So, how on Earth do you get backlinks to your site? The only answer is: by producing top-notch content. There are several tactics that SEO experts use consistently to always remain on top, and they all start with proper keyword research and competitor analysis. Use tools like Google Keyword Planner or Ubersuggest.io to identify the most appealing keywords you’d want to rank for. Another good idea would be to check out Google Trends to find search queries that are popular in your niche right now. Look at the volume of traffic that different keywords could potentially bring to your site and evaluate how relevant that traffic would be to your business. After that, analyze your competition by checking the domain authority and backlinks of all the results on the first page. If some or all of them are not high-authority sites, you definitely have an opportunity to rank highly for that keyword and grab a good portion of its traffic in the short term. However, if all top results are big names and major players, you will likely have to forget about those keywords for the time being. Set them as your long-term goals; you can come back to them after you’ve built up the authority of your site and can be competitive for those top positions. Now that you’ve identified your best search opportunities, you have to deliver the best content for those corresponding keywords and phrases. Study all the results on the first page of your target queries to see what kind of content you have to create to match the intent and quality behind the search term. Don’t try to reinvent the wheel. It’s always better to improve upon what your competitors are doing with their content, rather than trying to invent something new from scratch. In fact, their pages are ranking precisely because they do a good job of answering searcher intent. 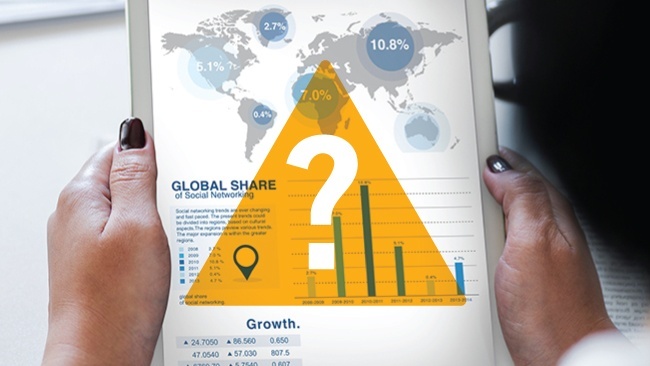 Are the top results product pages, articles, infographics, videos, or other types of pages? Your page should match the format and style of the current ranking pages. Operating in the news niche means that the majority of ranking pages will likely be coverage of breaking or popular news stories. However, you still need to pay attention to format — does it seem like the most successful coverage includes video? If so, this probably means you need to embed video on your page. If most of the results are text articles, look at how they’re structured. Are they guides, lists, case studies, interviews, or product descriptions? Whatever framework appears to be the most popular is the structure you should consider applying to your own content. In the event that top results seem to be using different frameworks in their content, don’t worry. You can structure your blog posts whichever way makes the most sense to you; the most important part is including all the critical information. Matching a popular format won’t matter if your page isn’t answering searcher intent in the best and most complete way possible. If you’re really serious about your news portal, you should already know that rankings in the normal Google SERPs and rankings in Google News are determined differently. Standard Google SERPs are focused on “evergreen” content that ranks strongly over time and stays relevant for long periods. 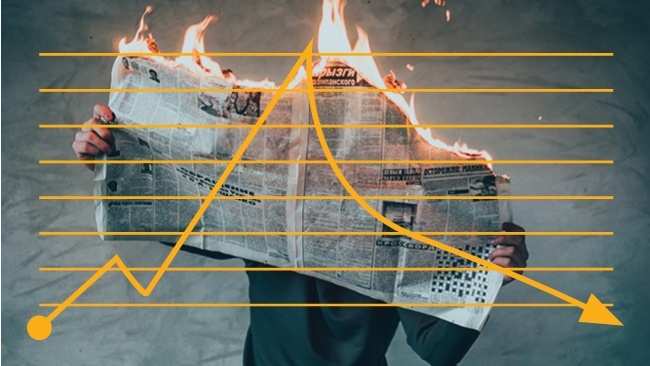 Conversely, breaking news is relevant to readers strictly for a short amount of time, making content freshness an important ranking factor in news related search results. News posts receive huge spikes of traffic and then are soon forgotten. If you find a story that is receiving little or no coverage from other outlets, you have an opportunity to rank highly in the related Google top stories and grab substantial traffic. Even if Google News is looking for fresh stories, though, the authority factor is still important. We see big names like BBC, ABC News, Fox News, and others frequently appearing in the top stories. 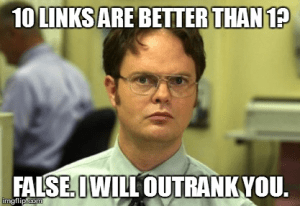 Google may not give huge weight to the backlinks of one specific page, since this would mean new content wouldn’t have the time to build the necessary links to rank highly. However, they still give quite a bit of weight to the overall backlinks to your domain — that’s why building quality links to your domain is key to ranking in Google News. There are several ways to secure powerful links to your domain. Let’s look at each option individually. 1. Publish High-quality Content on a Regular Basis. There’s no way around it, no gimmicks and tricks can save you. If your content is shallow or even mediocre, there’s no way someone is going to link to your site. Would you link to poor-quality content yourself? I don’t think so. Invest the energy and resources into creating informative, quality content and publish it on a regular basis. Over time, you’ll start earning links from other sites because their writers or editors love and trust your content. 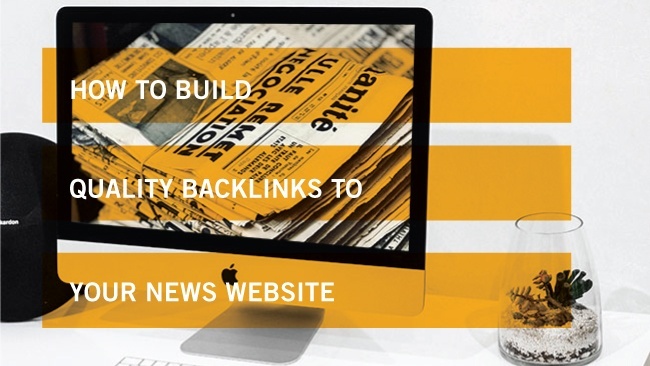 For instance, at Cryptovest, we’ve built a good amount of quality backlinks from top news sites without any outreach. Just old-fashioned, quality content that is published in a timely manner; this seems to be the simplest and most reliable recipe for powerful links. The cool thing about the internet is that if you have absolutely no followers yet, you can leverage other sites’ audiences. Provide value through branded contributions, guest posts, interviews, or any other form of contribution that could benefit another site’s audience. As always, it’s crucial to produce quality work. If you do that, you can earn quality links from trusted sites. There is a common misconception among digital marketers that social media backlinks are worthless because they are no-follow. These links can actually give you a boost in your rankings because social signals influence your authority. They are not as powerful as a link from a high-authority site, of course. But they still signal to Google that you’re popular because people are talking about you and your brand on social media. Make sure to leverage any pages or posts you can on social media to link back to your domain. If somebody is citing you in an article and doesn’t link back to you, you can reach out to them thanking them for mentioning you and gently ask them to add a link to that mention. These are the easiest links to gain when you have the opportunity. 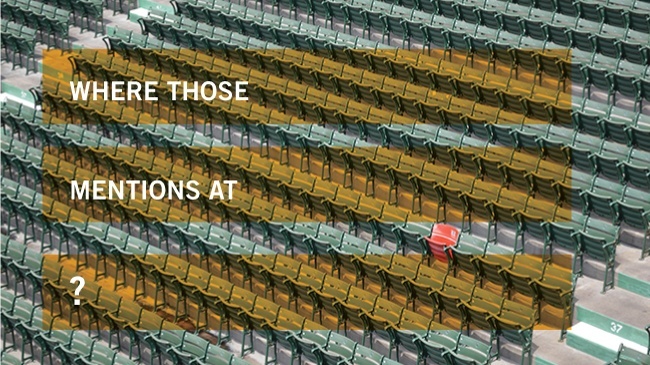 But if no one is citing you, there aren’t any opportunities, right? Don’t worry. You’ll start having these opportunities over time, once you are regularly producing and sharing good content. An evergreen strategy requires always looking at what your competitors are doing, and that applies to backlinks as well. Check who’s linking to your competitors and see if you have the chance to gain the same types of links. You should find some pretty solid opportunities this way. Authoritative backlinks are not easy to get, but if you publish excellent content on a consistent basis, the results you’re looking for will come. At the beginning, you’ll see slow results, like anyone starting from zero. But gradually, you’ll gain new editorial fans who will link to your articles and look to your site for news related to your field. And the power of those backlinks will slowly push you up in the rankings, expanding your audience. The content game is often called “flywheel marketing” because it starts slow and you have to put in huge efforts to see results. But over time, you’ll see that it becomes easier and easier to achieve your goals. Be consistent and earn quality links one article at a time, and you’ll see more of them flowing to you eventually. 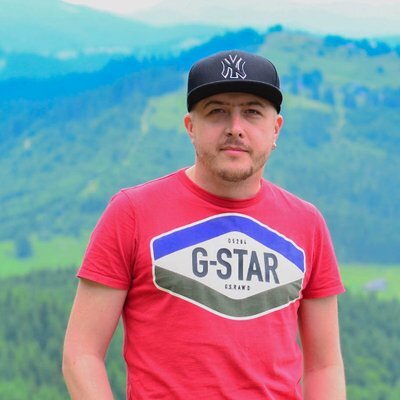 Alexander Omelchenko is a marketing and SEO manager at Cryptovest.com, one of the leading crypto news sources, cryptocurrency and ICO publisher. Cryptovest is a one-stop shop for all your cryptocurrency-related needs, news, education, reviews, etc.